This years Bristol Canoe Club beginners course will start on Monday 3rd June 2019 and run for four weeks. On successfully completing the course you’ll receive the British Canoeing one-star award. We are unable to offer places to those under 18. Please note that this course is now full. The club will be organising a beginner’s kayaking course for adults in May/June 2018. This is intended for people who are interested in taking up the sport of kayaking in the future, and paddling with Bristol Canoe Club. 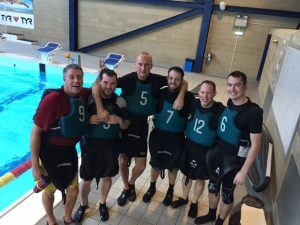 The course will consist of a session in a swimming pool, and then four 2-hour sessions on Bristol docks. Thursdays 7th, 14th, 21st, & 28th June; 6pm; General session at Baltic Wharf on Bristol docks. This course will cost £75, including membership of the club for the remainder of the year. If you are interested, please email our enquiries address; see our contacts page. Ten members attended our Club’s Polo Taster last night at th e Bristol Canoe Polo Pitch. Thanks to all for attending. I hope everyone likes our new marketing initiative too…. For those unable to attend, the Polo Guys have a regular session on Wednesday from 6-30pm. Come and along and have a go….. The club will be organising a beginner’s course for adults in May/June 2017. The course will consist of four 2-hour sessions on Bristol docks, on Thursday evenings from 6pm. This will cost £75, including membership of the club for the remainder of the year. This course will begin on 18th May, and continue through to 8th June. If you are interested, please email our enquiries address; see our contacts page. Note that this course is now full; we cannot accept any more people. The “cream” of Bristol’s Polo players reformed into a single team for the annual South West League – Div 2. Three wins and two draws should see us second in the league. Brilliant polo location at Millfield School. The club will be organising a beginner’s course for adults in June 2016. The course will consist of four 2-hour sessions on Bristol docks, on Thursday evenings from 6pm. This will cost £60. This course will begin on 9th June. If you are interested, please email our enquires address; see our contacts page. Note that this course is now full. The club will be organising a beginner’s course for adults in May/June 2014. The course will consist of four 2-hour sessions on Bristol docks, on Thursday evenings from 6pm. This will (probably) cost £60. This course is expected to begin around the middle of May. If you are interested, please email our enquires address; see our contacts page. Bristol Canoe Club is a club for paddlers in the Bristol area. We are a very active club, and we do lots of things – see the Calendar page for the latest info, but also we do a lot of trips at short notice, organised via our members-only email list. We are involved in white-water paddling, flatwater racing, polo, plus general leisure. For more information, please see the General Information link, Membership, Contacts, or any of the pages available from the menus at the top of the page. Our online membership sign-up with webcollect is here: Bristol Canoe Club webcollect page, but we’d prefer if you come down to one of our sessions and say hello before signing up. Please note – this course is now full. This course is expected to begin on Thursday 15th May. If you are interested, please email our enquires address; see our contact page. 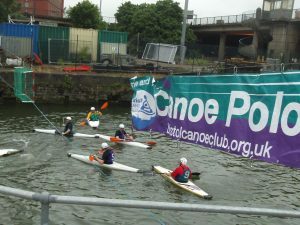 The club will be organising a beginner’s course for adults in May and June 2012, to gain the British Canoe Union (BCU) 1-star qualification. The course will consist of four 2-hour sessions on Bristol docks, on Thursday evenings from 6pm, plus a fifth week when you can try out some of the club’s other boats. This course will cost £60, which also includes membership of Bristol Canoe Club for the remainder of the year. This course will begin on Thursday 17th May, and go through to 14th June. If you are interested, please email our enquiries address.